Behind the regal Victorian facade lies beautiful, contemporary designs and effortless luxury at Dunstane House. 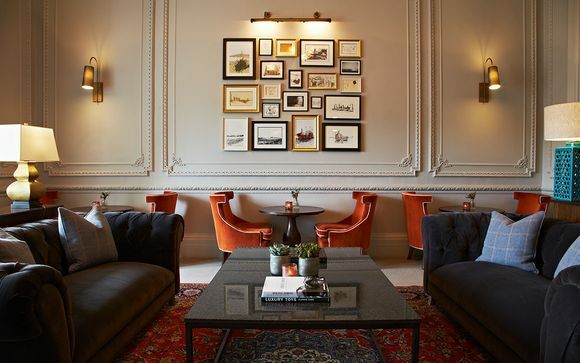 Head to this chic five-star accommodation for an ultra-stylish stay in Edinburgh's vibrant West End. 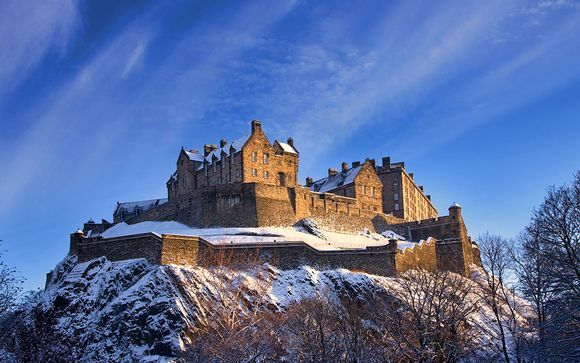 Set out to discover the city - impressive sights such as Edinburgh Castle are a must! Our members will be guaranteed a late check-out, staying in either a Wee or King Double Room. 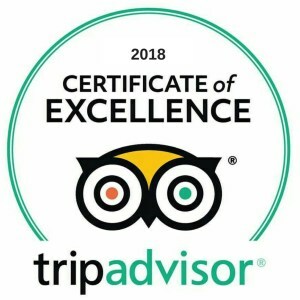 Winner of the 2018 Scottish hotel awards, your hotel is highly unlike any other five-star hotel that you've ever stayed in. Offering stylish city accommodation, with a great amount of heritage and history, you will stay in a wonderful Victorian townhouse in the heart of Edinburgh's West End. 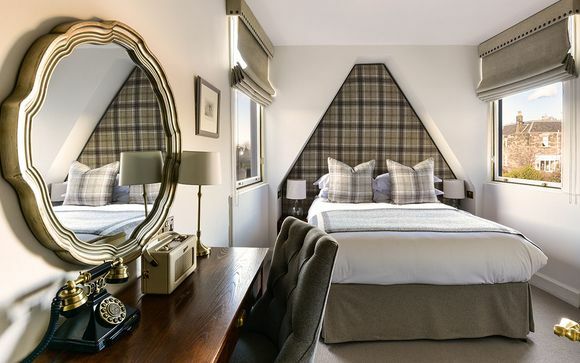 Stay atop of some of the city's chicest bars and hang-out spots - this superb and ultra stylish accommodation offers the very best of the Scottish capital. Enjoy a selection of designer boutique guestrooms and take in the charm of this iconic buildings. Dunstane House, as a building, is hundreds of years old and features many of its wonderful original features. Now a family-owned and run hotel, the moment you step foot into the property, you will be met with instant warmth and will get to enjoy an array of traditional and modern comforts. 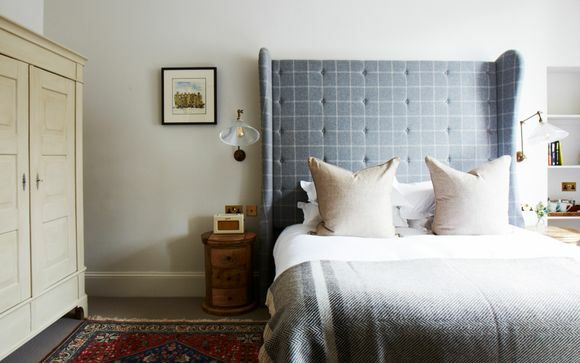 Characterful, evocative, classy and homely: these are the themes on offer at this gorgeous hotel and the selection of wee rooms are not an exception! Of all the rooms at your five-star hotel, these are the cosiest - which is great for the winter months when Edinburgh's temperatures take a plummet. Find interiors that have been inspired by both the old town of Edinburgh and a modern townhouse - perfect for some well-earned downtime after a day of exploring. Best for a romantic getaway, these spacious King Rooms offer a uniquely styled escape - with all the facilities needed for a comfortable and memorable stay. Whilst some rooms offer a lavish a four-poster bed, all rooms offer tasty Scottish treats in the minibar, as well as Wi-Fi, a smart TV and a Nespresso machine. 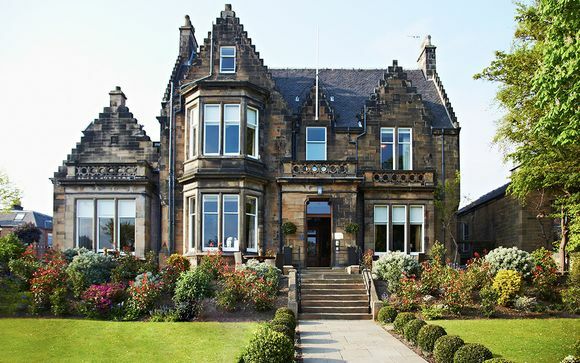 Located inside Dunstane House is the timeless Ba' Bar & Lounge, where our members can find a casual, all-day dining service; afternoon teas and a selection of drinks. We recommend heading straight to the vintage whisky cabinet and for a sample of cheek-warming Scotish malt. For the beer drinkers of the group, why not warm your cockles with a delicious local brew? Then chase it down with a fine food classic like haggis - but served as bonbons! Guests can also enjoy room service. It is essential that all customers purchase adequate travel insurance for all countries they are travelling to or though.